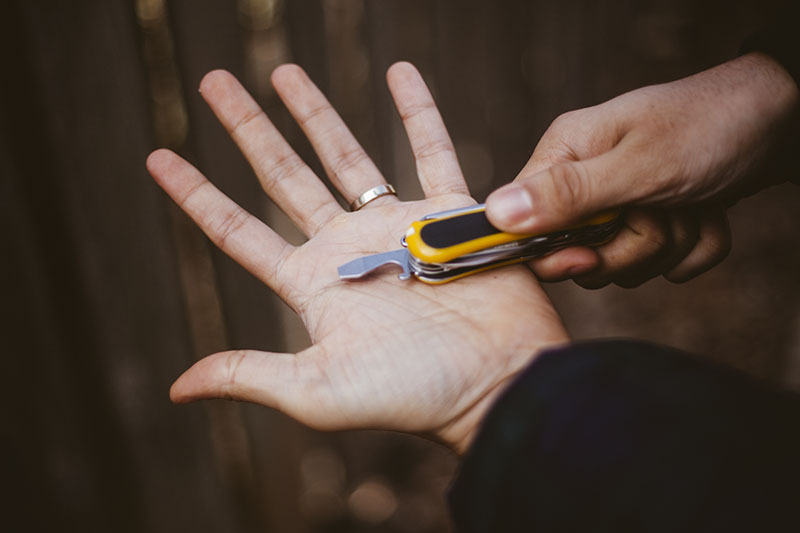 The Victorinox EvoGrip provides interesting insight into what Victorinox deems to be the next evolutionary step for their Swiss Army knives. This evolution is a clear departure from the classic minimalist red slabs that we all grew up with and have grown to be accustomed to over the years. 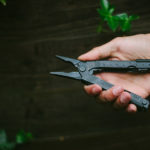 Yet the EvoGrip certainly tips its hat to the traditional Swiss Army knives, making this series of multi-tool a nice meld of a modern new direction with an apparent inspired-by-the-classics twist. Admittedly, when I first pulled the Victorinox EvoGrip S18 out of the package, I was a bit perturbed by such a drastic change (both aesthetically and practically). 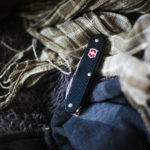 After using the tool for a few days, however, I find myself very optimistic about the direction Victorinox is headed. Even though there are a few key features on the S18 I’m certainly not a fan of, these aren’t criticisms of the entire EvoGrip line, just the particular model that I ended up with. Besides the fact that the scales are obviously no longer red, the most obvious change from the classics is the EvoGrip S18’s addition of a locking mechanism for the primary blade. 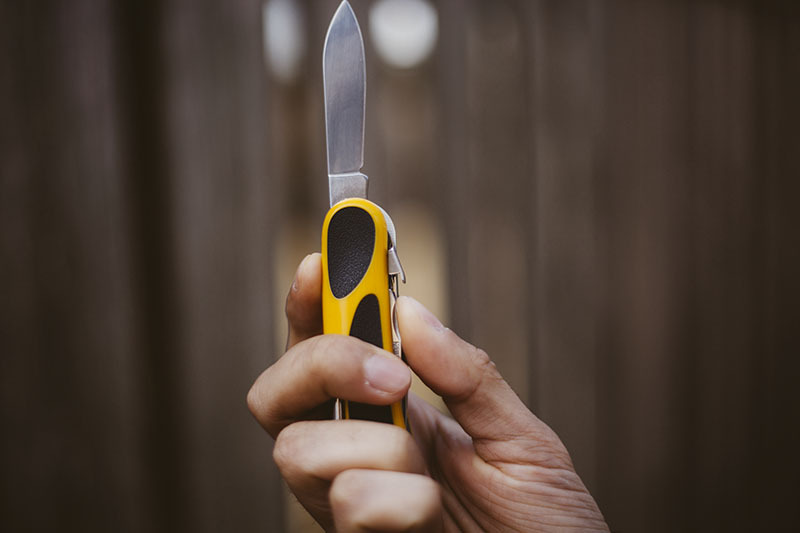 This addition was no doubt intended to allow the end user to utilize a 2.5 inch (6.35 cm) Swiss Army knife blade more roughly than would perhaps be normal. The lock is not particularly well implemented, however, (more on this later) but regardless of its faults, it does expand the blade’s capabilities quite dramatically. 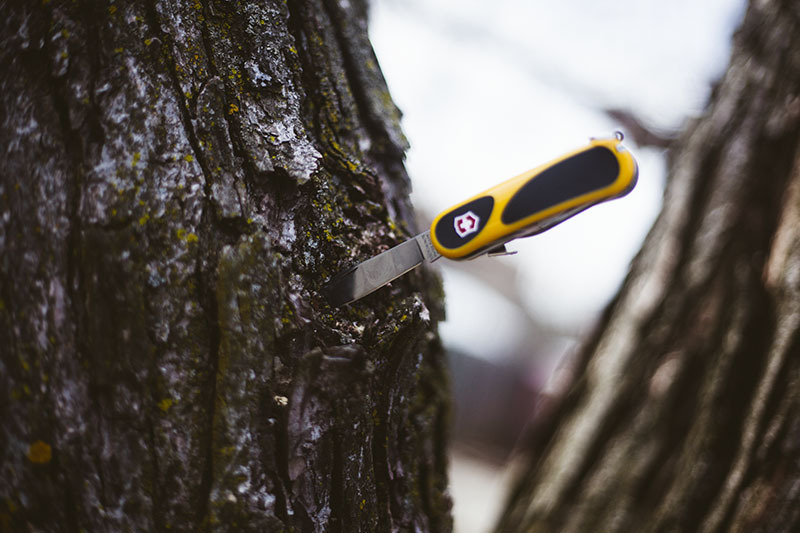 I stabbed the Victorinox EvoGrip S18 into a tree trunk, which isn’t something I would never have dared to do with a standard slip joint Victorinox. Aesthetically, the bumblebee colour scheme is a huge hit with me, and everyone else I’ve shown it to seems to agree that it’s quite a welcome part from the traditional red. It’s nice to have such a “loud” EDC tool after having carried so many subdued “tactical” options. I’m the kind of person who will always be carrying a pocket knife alongside any multi-tools or other EDC gear I carry, so while this isn’t going to be replacing any G-10-scaled Spydercos for me (like my Military for instance), it’s a nice compliment to my everyday carry lineup that adds some welcome colour to an otherwise black, silver, and neutral-toned carry. It’s important for me to emphasize when reviewing Swiss Army knives that they’re not supposed to be viewed as full-fledged folding knives. 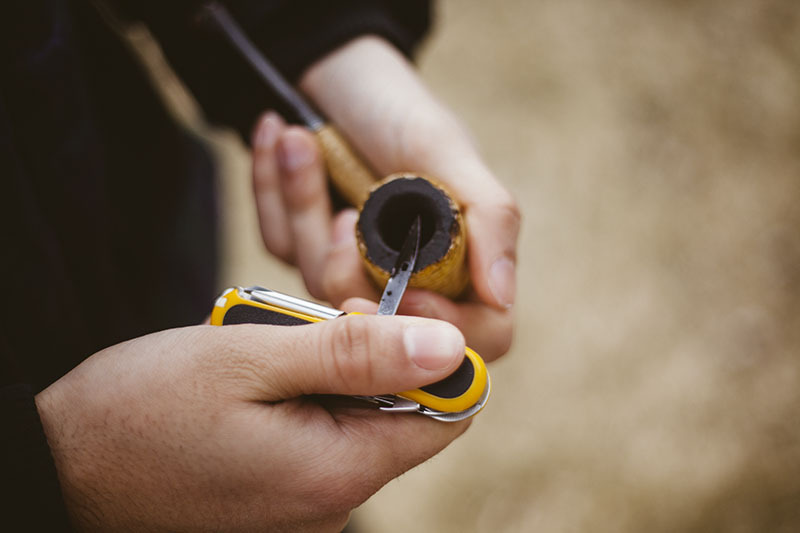 The Victorinox EvoGrip S18 is a through-and-through multi-tool that happens to have a blade. 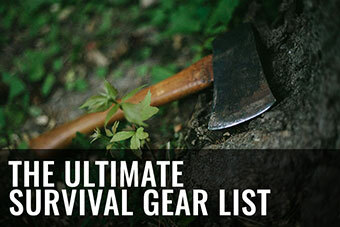 I’d recommend you do as I do and carry a core knife alongside this tool as an EDC. If you happen to forget your knife at home, you’ll be happy you had this guy on you, but regularly, in my opinion, you’re not going to be wanting to rely on it as your sole cutting tool, especially if you do a lot of cutting in your everyday life. The thickness of the Victorinox EvoGrip S18 is pretty sizable, as is evidenced by the picture below. 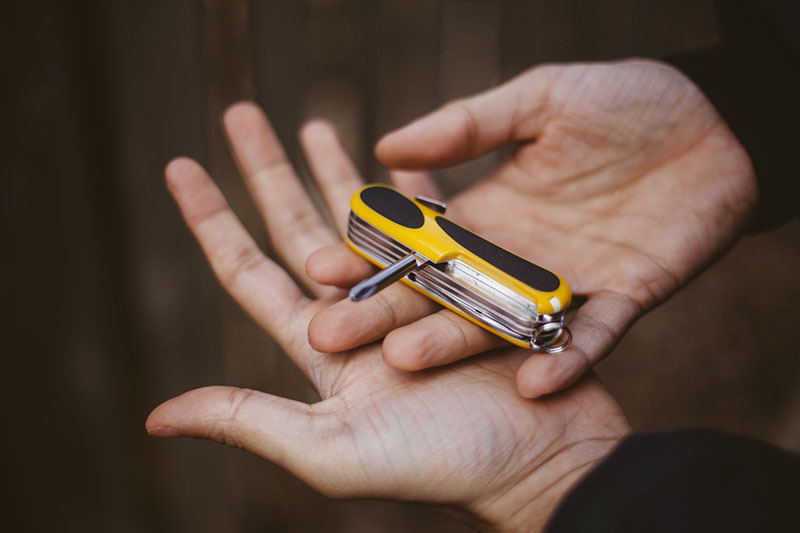 Even though the tool as a package is relatively compact, it definitely wouldn’t be my first choice for a discreet/gentleman carry, though it is perfectly pocketable. When I hold the EvoGrip in my hands and then remember that it comes with 10 different tools (with 14 different uses! ), I am truly impressed by how much Victorinox managed to put into such a small package. Certainly more features than what has become the standard. Speaking of carrying, below you’ll see how I opted to carry my Victorinox EvoGrip S18. 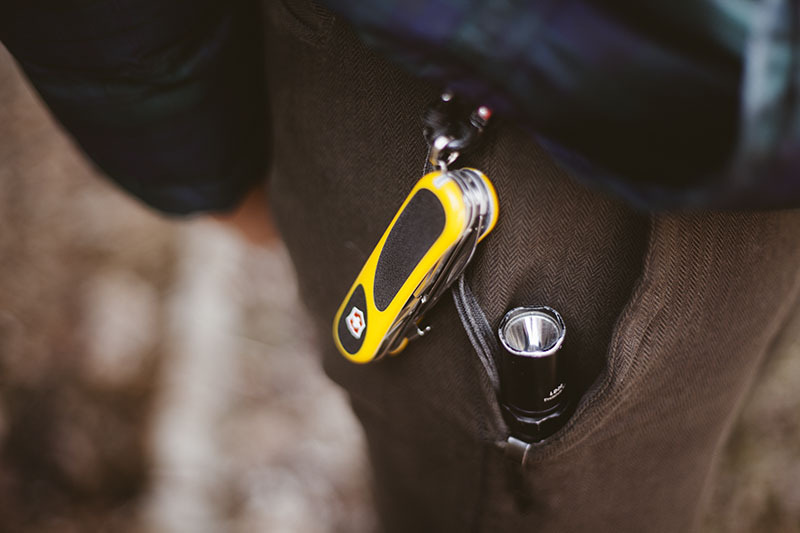 I’d put it in my pocket, but with the sheer amount of stuff I end up carrying every single day (yes, this all does typically go in my pockets), it’s far more useful for me to have the EvoGrip hanging from a carabiner for quick access, rather than letting it getting lost in my pocket. 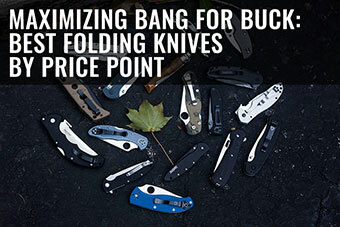 Realistically, I wouldn’t whip it out for a quick cutting task, since, as I’ve mentioned, I nearly always carry a dedicated folding blade like the Spyderco Para-Military 2 on me for that. 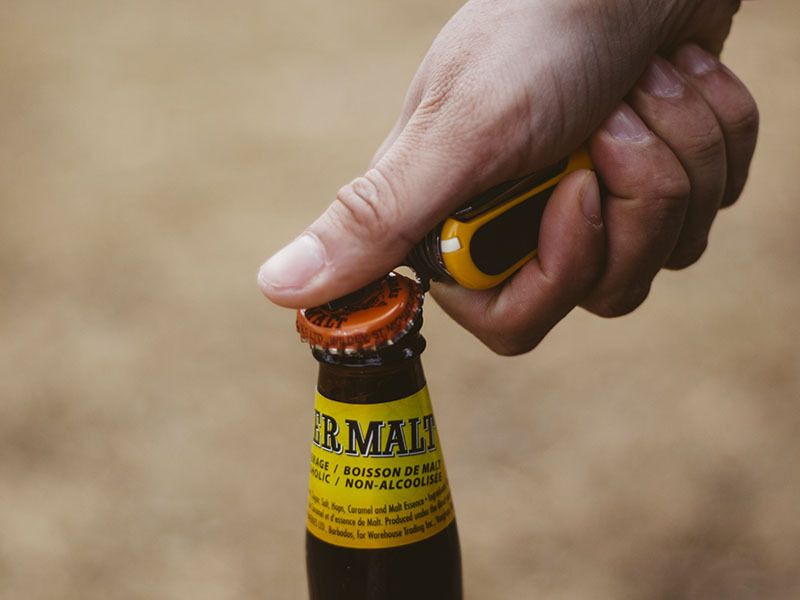 However, for tasks that require scissors, a screwdriver, or more commonly, a bottle opener, I do find that having it within reach in a consistent place to be my personal ideal. 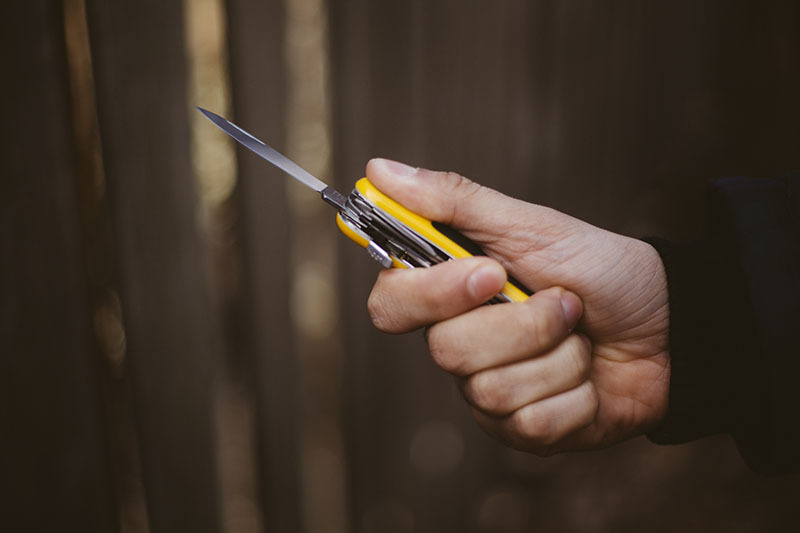 Obviously, a lot of people are perfectly happy to have a Swiss Army knife as their only cutting tool, and that’s 100% fine, but I personally treat my multi-tools as tools that can be used to cut as opposed to knives that have tools attached. It’s ultimately a question of taste and personal bias. Okay, now let me just jump straight to my biggest gripe with the S18 version of the EvoGrip – its lock. I can see why it’s there, and I can understand completely why someone might want to have a lock on their multi-tool (feels safer? ), but the implementation of the lock on the Victorinox EvoGrip S18 is just plain obtrusive, and in my opinion, a huge drawback in terms of ergonomics. The way I see it, the lock being so uncomfortable far outweighs any benefits of having a locking 2.5 inch blade. It should, simply put, just not be on there. For the lock, Victorinox decided to utilize a tab that pushes the back spring of the blade, a button activated backlock if you will. 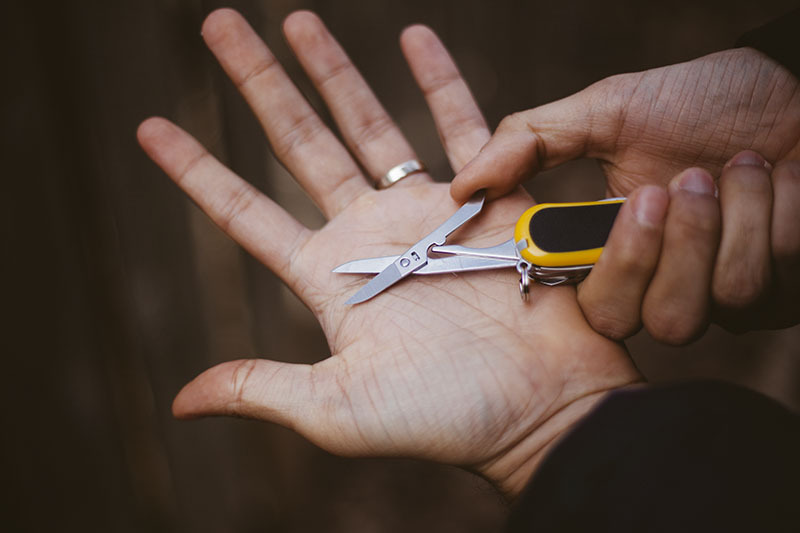 In practice, the lock is functional only as a demonstration unit, because if you grip the knife on it’s two sides, which is a very common and comfortable way of gripping a multi-tool, the lock will unlock and be rendered useless through minimal pressure from your palm. 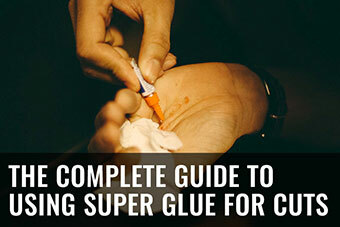 I’m not saying you have to be gripping hard – really you don’t. Just a gentle squeeze around the sides, the kind you’d typically use to get a proper grasp of a knife, is enough to disengage this thing. 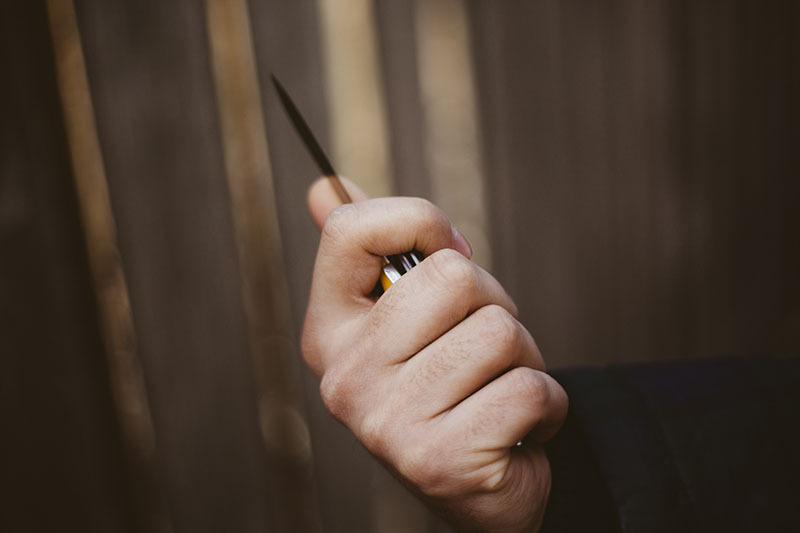 If I am going to be doing something that requires a locking blade, then, at least in my experience, I will be gripping the knife relatively hard in the process, which makes this a huge safety issue for me. It’s pretty damn unsafe because the lock gives the illusion that you can use the EvoGrip S18 hard, and when you try, the lock disengages. So what I am left with is a knife that locks when I use it gently (where a locking blade just isn’t needed) and unlocks when I use it hard (which is where a locking blade would come in useful). Even worse is the fact that the tab is so large (presumably so you can disengage it with gloves on) that its uncomfortable in most standard saber grips. 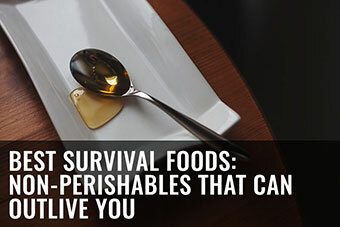 Makes it hard to use the knife comfortably at all, even when you’re trying to use it gently. Below you can see the locking tab on the Victorinox EvoGrip S18 in between my index and pointer fingers. If I even so much as cover the lock using my pointer finger, the lock will disengage, so I am forced to purposefully weaken my grip, which seems a bit counter-productive to me. The handles have a bunch of ergonomic swedges cast into the plastic and seem to encourage you to use the knife in a specific fashion: the same way you’d grip an X-ACTO knife. 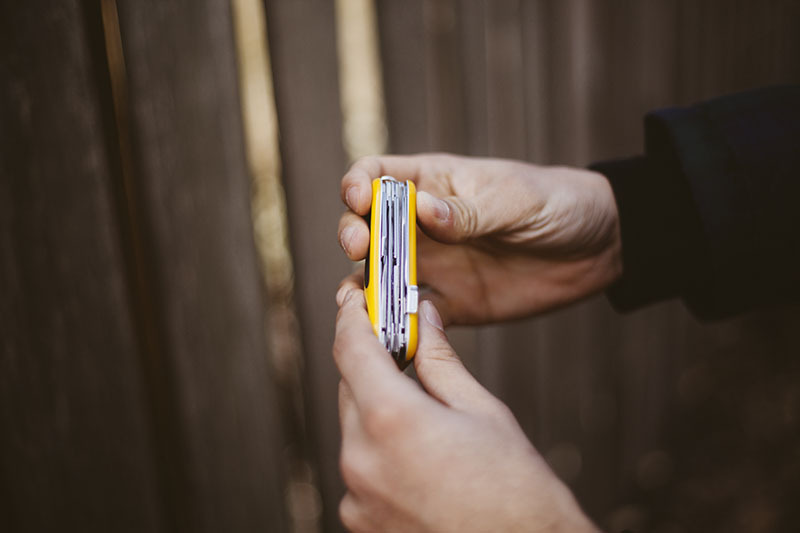 It’s a grip that’s clearly envisioned for delicate, precise work, and in this grip, the locking tab stays out of the way. 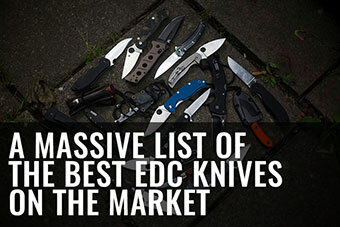 But to reiterate – for such a delicate grip, you don’t need a lock for the blade in the first place. 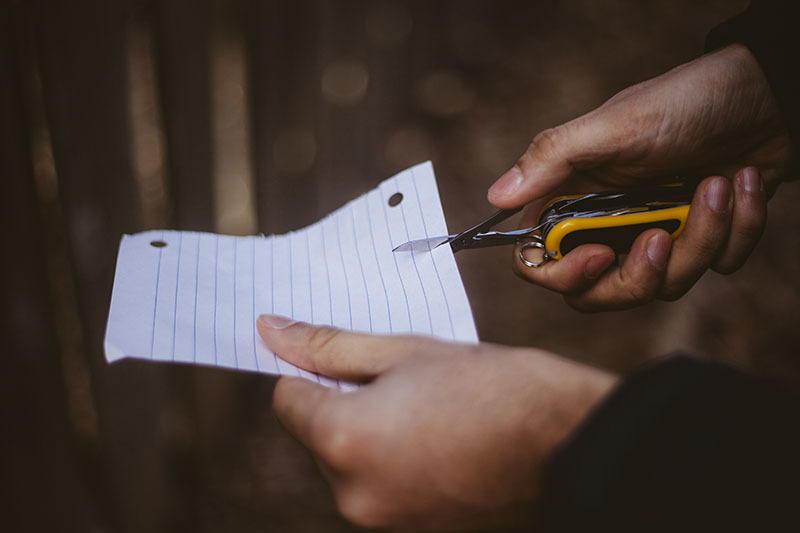 It’s redundant, as for delicate work, the blade wouldn’t fold over anyway. Maybe Victorinox put the lock in for those who’d like to use the knife delicately, but who are still paranoid that it’s going to close down on their hands with delicate work. Victorinox surely realizes the lock is not needed for this kind of light work – after all none of the classic Victorinox Swiss Army knives have a lock, but the problem is that if they’re catering to those who are needlessly paranoid, a problem still exists with the multi-tool, as the locking tab is needlessly obtrusive. Victorinox could have made the locking tab half the size and the lock would still be perfectly usable. 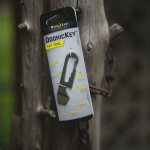 Yes, if it were smaller it would not be as easy to disengage the lock with gloves on, but it would be much more usable. 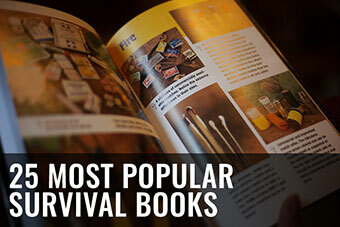 Much better than the uncomfortable safety hazard it ultimately is now. Switching gears, what I’ll call the “X-ACTO grip,” used on the Victorinox EvoGrip S18 is perfectly comfortable, and I can fully appreciate the wisdom of adding those ergonomic swedges to the plastic handles. 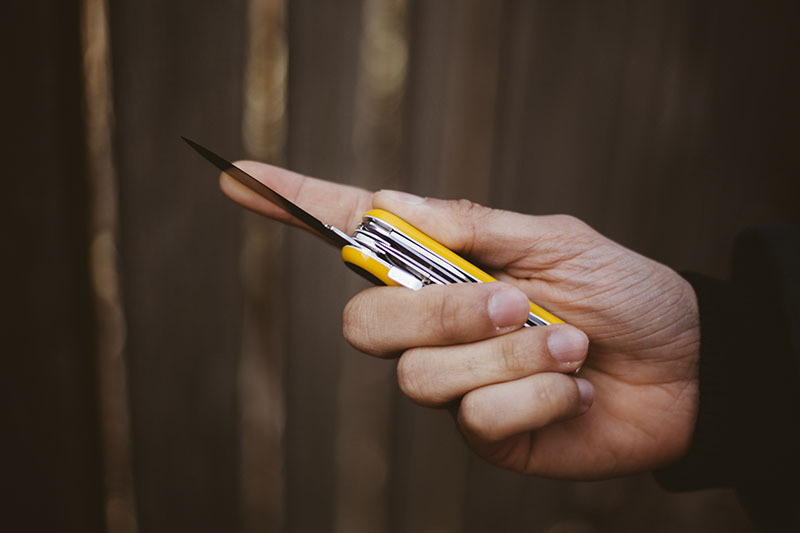 Yes, they are somewhat less minimalist in aesthetic than the classic Victorinox Swiss Army knives, but I think you will come to appreciate the added control those rubber-filled swedges offer. And they do look quite nice, too, if you ask me. You can also choke all the way back on the multi-tool. Personally, I can’t say I am much of a fan of choking back on the EvoGrip S18, largely due to the lack of control such a grip offers. The way I see it, you are basically giving up half of the total surface on the handle, and all of that just so you don’t accidentally disengage the lock. I hate to really obsess over this design decision, but I do feel it drags the entire tool down. 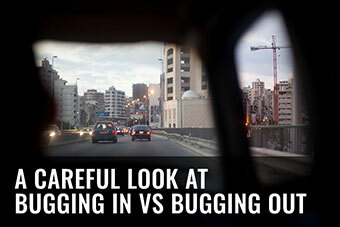 A poorly implemented feature is much worse than not having the feature in the first place. 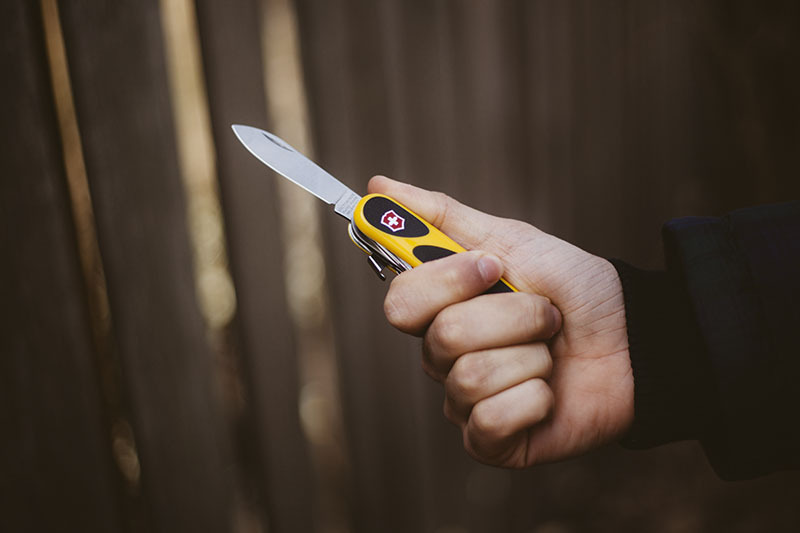 The 2.5 inch blade is the standard Victorinox fare. Very lean with a clean full flat grind. 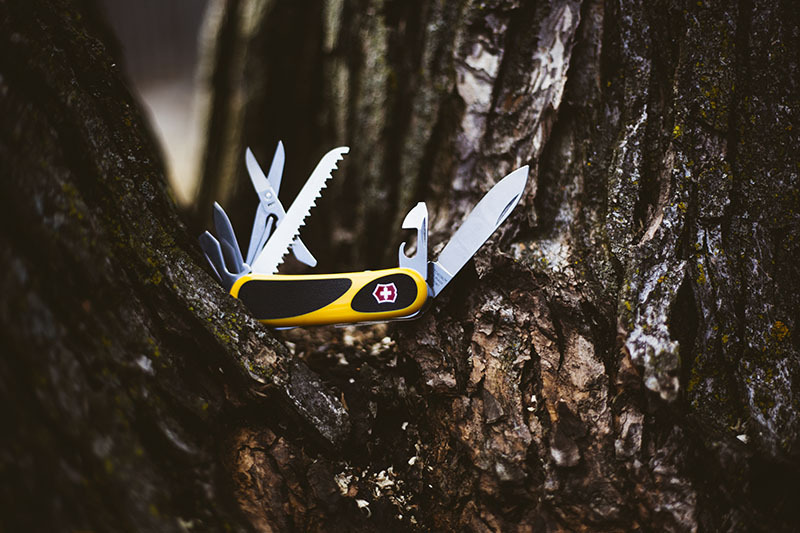 Perfect for all light utility and everyday carry tasks, and with its Alox steel, which is basically a 1.4116 derivative, it holds an edge well enough for most tasks. 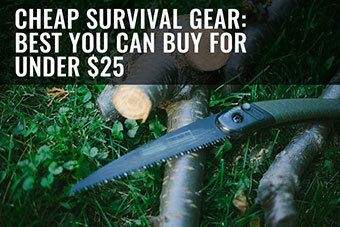 Obviously not a super steel, but it’s easy to sharpen, and frankly at this price point and with so many tools, you shouldn’t be expecting a super steel. The file on the Victorinox EvoGrip S18 is, unfortunately, pretty much useless. I would have preferred a smaller secondary blade instead. 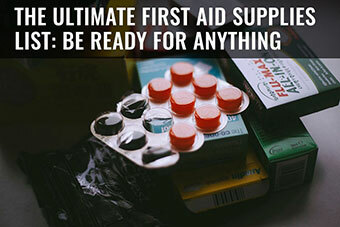 Something to keep clean and perpetually sharp as a virgin blade for any emergency uses, like slicing out deeply lodged splinters or any other medical emergency. The scissors are excellent as always. Not enough blade to do serious or repetitive work with, but in a pinch? Fantastic. After using a Silky Saw, I’ll admit that everything else pales in comparison, however for breaking down kindling and for emergency carpentry, the provided saw blade on the Victorinox EvoGrip S18 is perfectly serviceable. 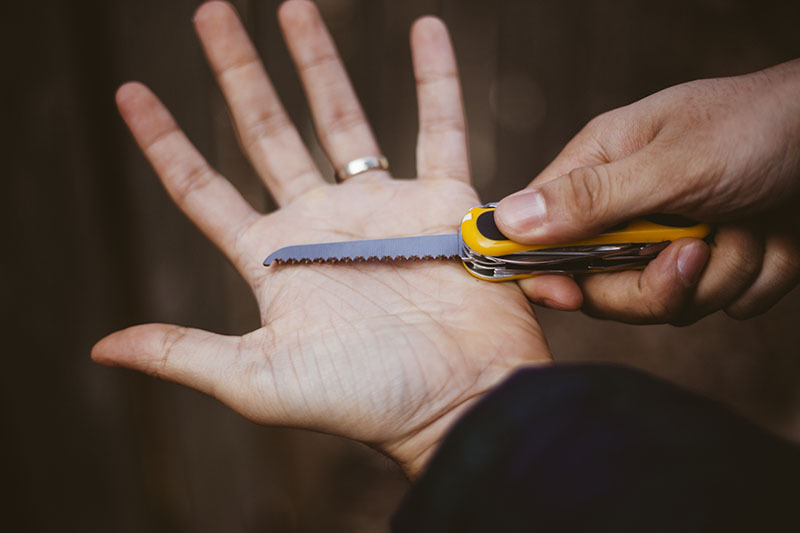 It should be noted that the serrations on the saw are ground in such a way that you cannot sharpen them yourself, so don’t try using this as a complete replacement for a regular outdoor saw. Bottle opener is perfect as expected. 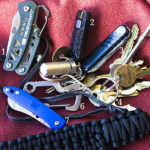 It’s odd that this is even an accomplishment, but after testing out other multi-tools, like the Nite Ize Doohicky and the Gerber Shard, I find myself much more appreciative of the Victorinox time tested design. One quick upward jerk and off pops the cap. 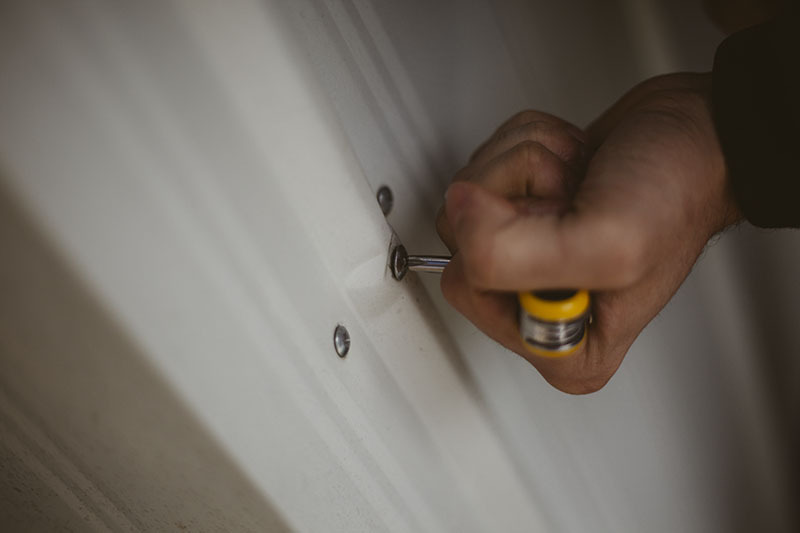 No need for prolonged movements or wrestling with your tool. When it comes to the can opener tool, although I do tend to prefer using swing-a-way type can openers, it’s not like those are easy to carry around, and I was actually pretty surprised with how simple the one on the Victorinox EvoGrip is to use as well as how effective it is, especially when taking into account the size. Good job here, Victorinox. 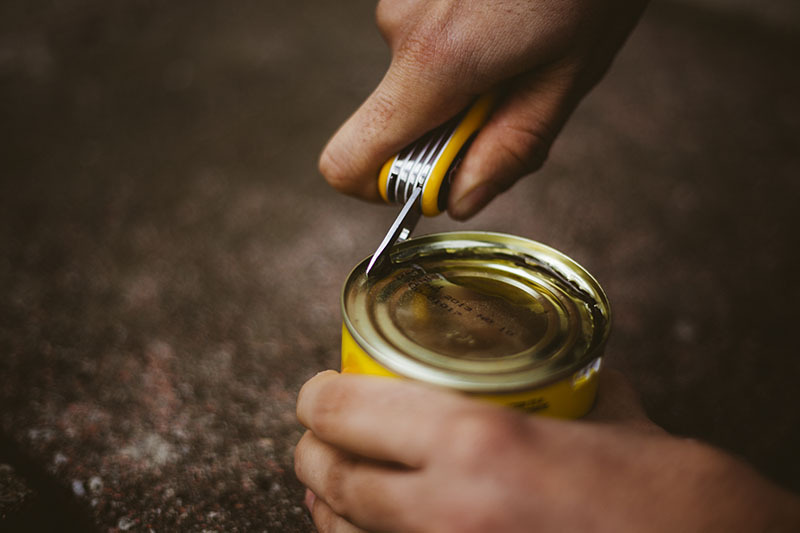 It should also be noted that much like the bottle opener tool, the tip of the can opener tool can also be used as a flat head screwdriver, which for my uses at least, is far more useful. I don’t think I have ever had to open a can in the field since most cans here come with a ring pull type system. The can opener, however, is more than capable, as I’ve mentioned, in case I ever have a can without that pull system that needs opening. And no spilling of the contents when using this tool. That’s always a bonus. On the other side of the S18, we have this stabby looking thing. I believe it is an awl and is designed for undoing knots as well as scoring wood, but for my uses, I think it makes an excellent pipe scrapper for getting rid of excess carbon. 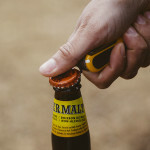 The ubiquitous Philips head screw driver is one of the last features on this multi-tool. Very functional, but I always find I lose all sense of dexterity when it comes to holding onto T-shaped tools. I much much prefer regular screwdrivers. In a pinch, however, it’ll more than do. Especially considering that the amount of torque you can actually crank out of this thing is so impressive. I definitely see why the tool is implemented in this way. No criticisms here. And finally, we have the standard tweezers and toothpick that come slotted into the scales of the Victorinox Swiss Army knife. The tweezers are above average and can pull hair with very little effort. The toothpick in theory works, but I can’t say I would ever use it as such. Why put a thin piece of plastic into your mouth to dislodge food and then promptly put that now bacteria-infused plastic sliver back into the slot of a handle that cannot be taken apart to be cleaned? 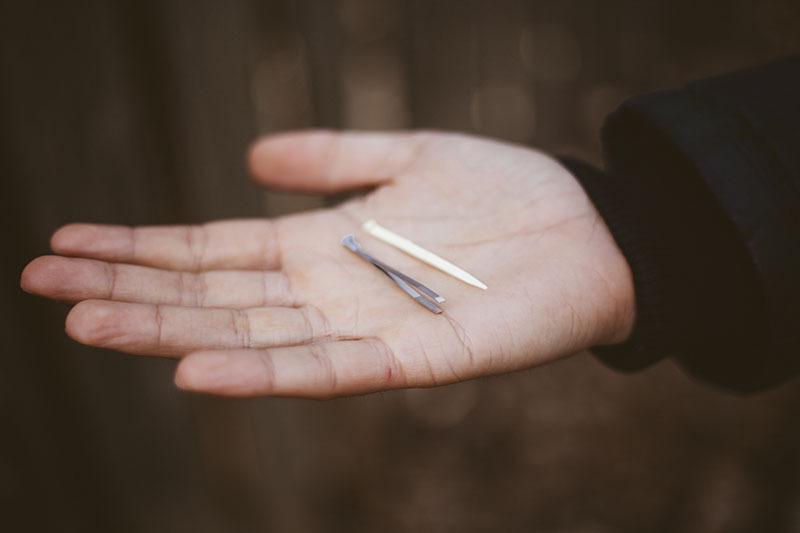 I don’t really get it, but for those toothpick-emergencies, it’s better to have one and not need it rather than need it and not have one! And I guess you can always rinse it off before popping it back in. 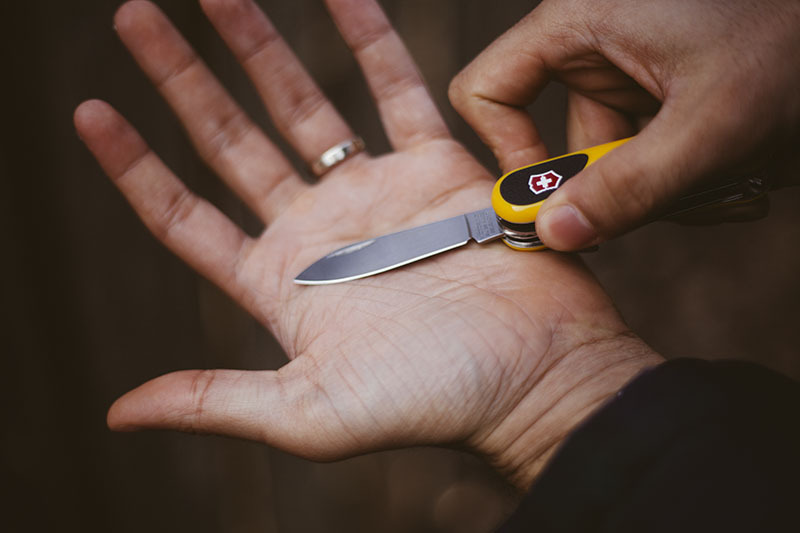 Looking at the EvoGrip S18 with a fresh pair of eyes, it’s quite striking to see how far Victorinox swerved off the mainstream Swiss Army knife design. I am sure I am in the minority in saying this, but this new design is growing on me to the point that I think I might prefer it to the classic flat red scales. Blasphemy, I know! But come on, you have to admit, this design is quite a looker. 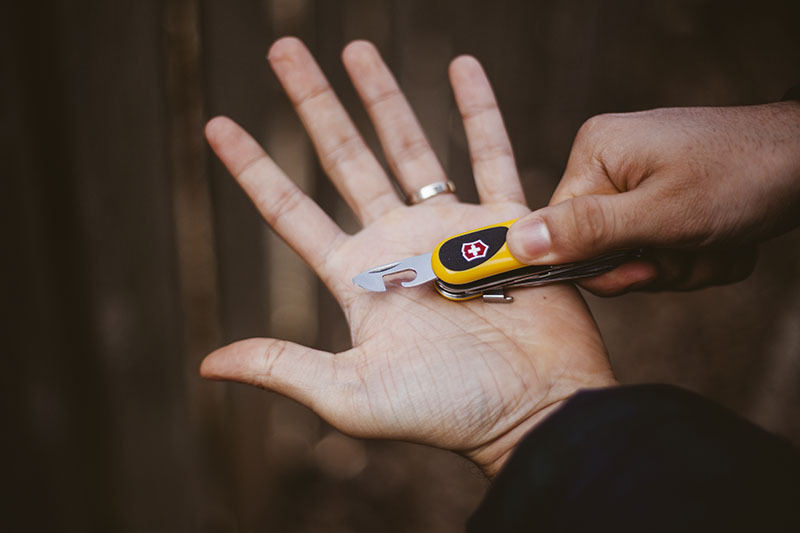 The Victorinox EvoGrip S18, for me, was quite a tough cookie to review, as I unfortunately found myself focusing quite heavily on the badly implemented lock, maybe when I should instead have been concentrating a little more on the EvoGrip’s viability as an overall multi-tool. Needless to say, I really do think that the EvoGrip S18 would be better off without the lock considering such poor implementation, but interestingly, for those of you reading this who may be interested in that kind of an alterative, it actually already exists: the Victorinox does in fact offer the EvoGrip 18 (no S), which is the very same knife as the one I’ve got, sans lock. 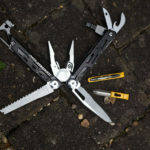 From the perspective of a multi-tool the EvoGrip S18 is quite excellent, as most Victorinox multi-tools are. 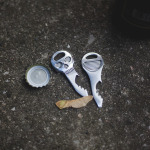 The various functions are implemented to a level above average in comparison to most modern multi-tools, and in the case of the bottle opener/can opener and the scissors, I would go as far as to say that they are class leading. There is no real substitute for a full-sized folding knife, but I think Victorinox comes damn near as close as you can with its fully functional 2.5 inch spear-point blades. On top of that, the new EvoGrip style is a certain improvement on the classics in terms of ergonomics and general versatility. 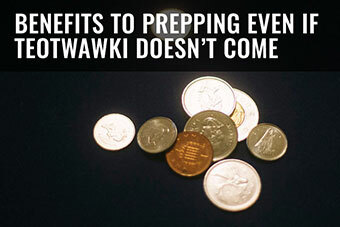 For roughly $40, it carries a lot of bang-for-buck and can be segued into replacing many tools in a pinch, whether you’re on the trail or at work. 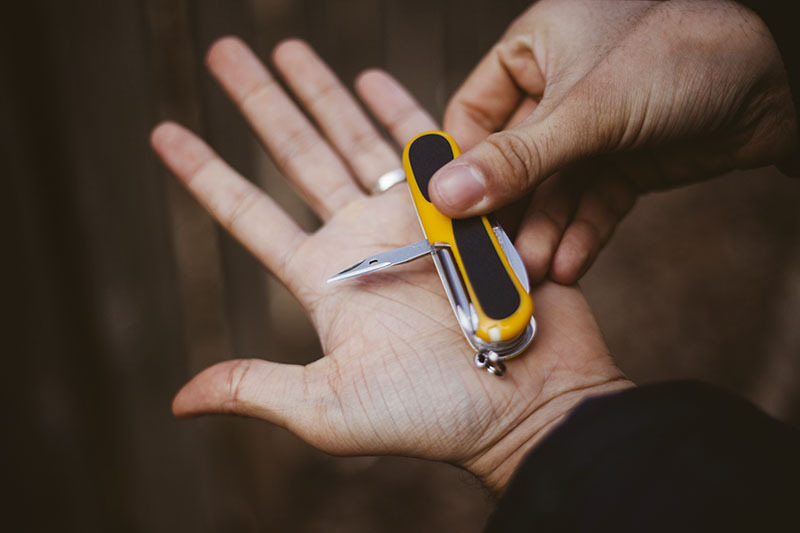 For that reason alone, I think it’s a worthwhile investment to have a Swiss army knife, especially when you’re hiking; you never know when you will need a screw driver to take something apart, and those tweezers will be very handy in case you get a splinter. 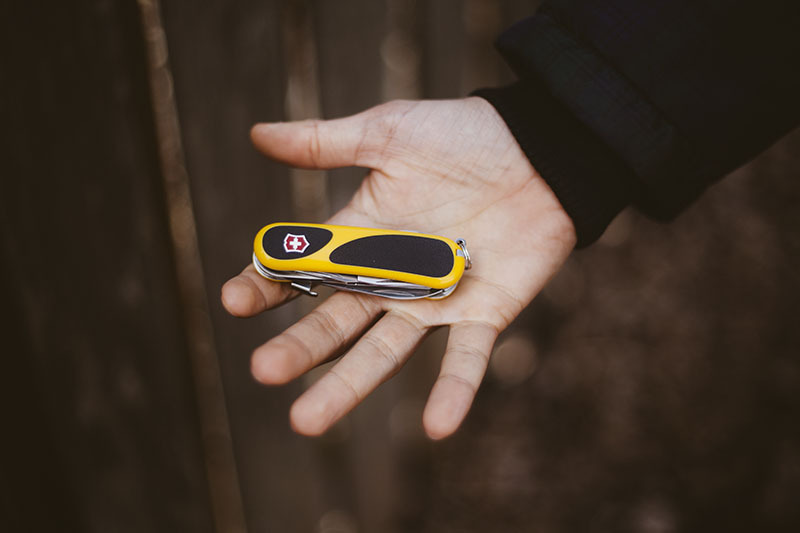 Ultimately, one day you will find yourself wishing you had a tool like this on you, and it’s for this reason that Victorinox has always proved popular – not only within niche industries and environments, but as a mainstream symbol of a do-it-yourself/can-do attitude. In conclusion, don’t get the Victorinox EvoGrip S18. 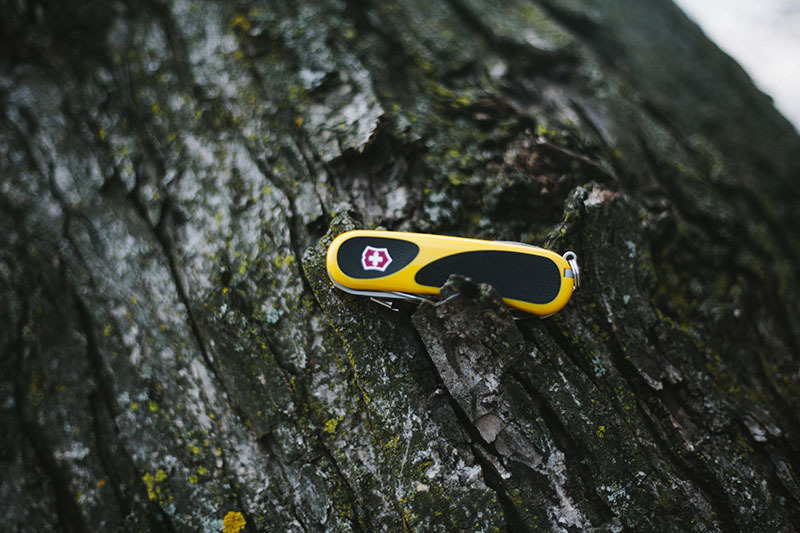 Skip the lock, get the non-locking version: the Victorinox EvoGrip 18. The lock destroys it’s utility entirely in the UK unfortunately as it’s no longer legal EDC. I agree that’s ridiculous, especially as the scary Lansky World Legal is! 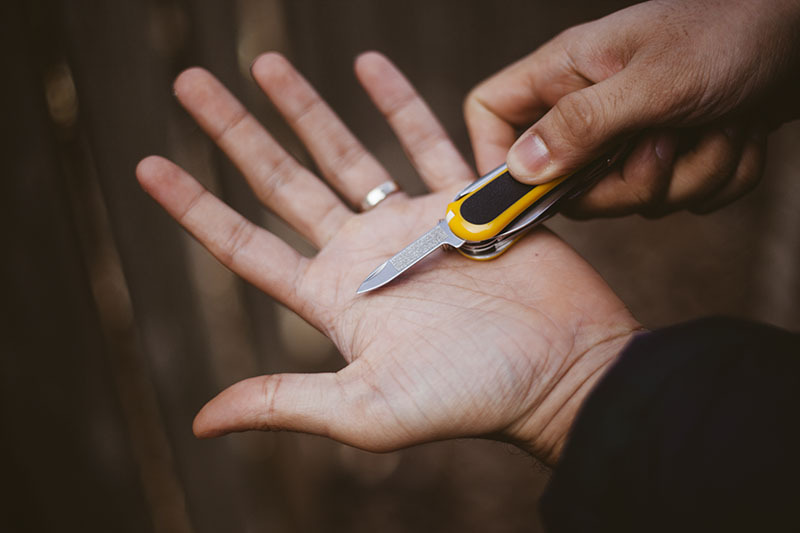 I carried a locking Victorinox for years (a Hunter), but I’m older and wiser now and won’t break the law just because it seems ill-considered! 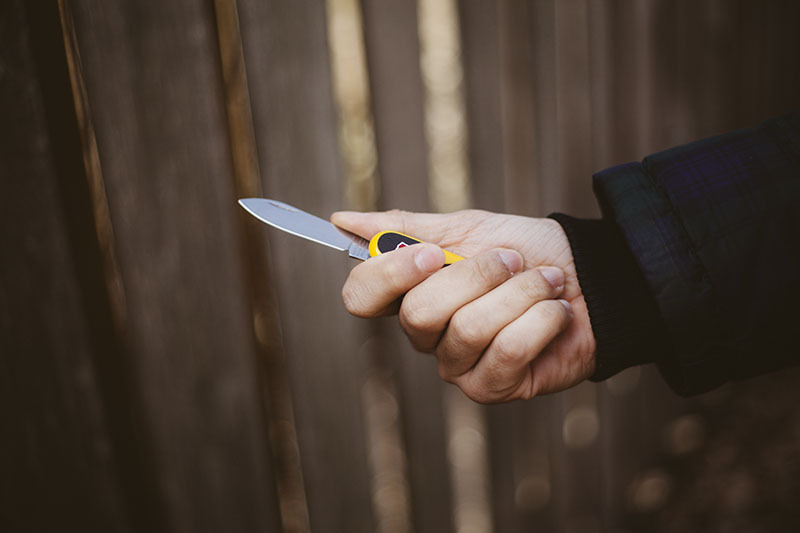 Just think over the quarter century that I carried that knife I never assaulted anyone, it’s almost as if people are responsible for knife crime rather than the tool! Yep, i cannot believe the Lanksy world legal is legal, that thing is terrifying! I also am very careful with what I carry in public and always stay within the law. Marriage & responsibilities will do that to you. This is not an original Victorinox model, and it’s not new. This is an old Wenger model. 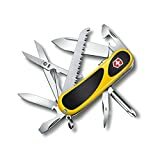 Wenger was acquired by Victorinox a few years ago, but they still had independent lines of multi-tools. However, 2 years ago Victorinox decided to merge the brands so they are all Victorinox now. I’ve been using Wenger Evo multi-tools for the past 10 years, and Wenger in general for something like 17 years, give or take. I had a Wenger Evo 15 which I lost, and then went for an EvoGrip 18. 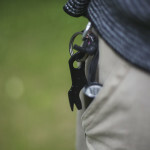 I use it with a carabiner locked to a belt loop, and the tool inside my coin pocket. Like you reported, the EvoGrip 18 doesn’t have any locks, that’s a Victorinox invention for the S18. That was a perfect lock review and I agree that it doesn’t make any sense. Just go with the EvoGrip 18 without the lock and you’ll be fine. The scissors are definitely from Wenger. The Victorinox scissors are somewhat mediocre in comparison, these ones are on a whole new level. The spring mechanism works flawlessly, is very sturdy and reliable. Also, the scissors are serrated, so they’re always sharp, which is a huge plus. The can opener is from Victorinox, the one I have in my Wenger is different and, in my opinion, more effective. 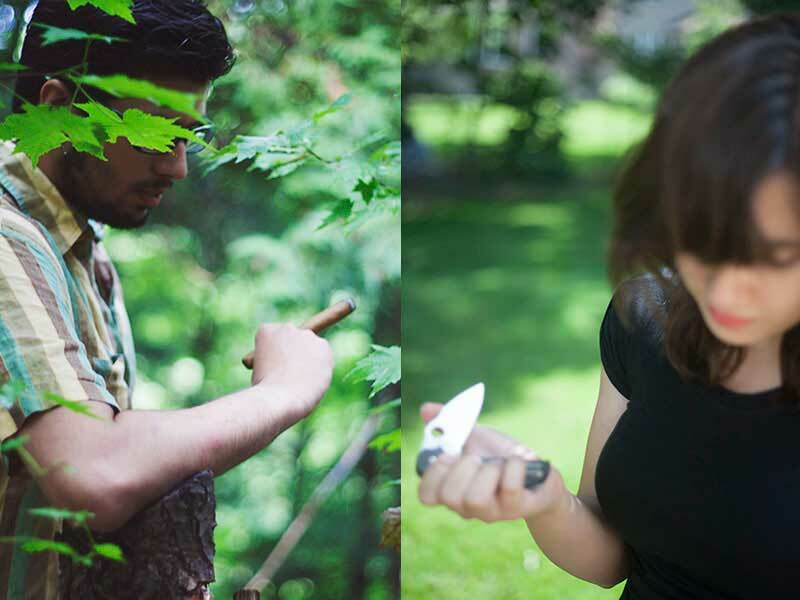 However, I have a few friends who disagree and like the Victorinox more. What doesn’t make sense for me is that the Victorinox can opener works as cap lifter as well, it’s one of the usual tools. The other cap lifter presented (which is outstanding) comes in the original Wenger model. Why have two cap lifters? They could probably have added a different tool? Anyway, the Wenger EvoGrip 18 is the perfect multi-tool for my needs. It has all the tools I need and I use all of them more than I could have ever imagined (except for the toothpick, I also think it’s useless). The steel is perfect, even a child could sharpen it, and the blade shape is great for small tasks. I just hope I never lose or break mine, since they don’t make them like this anymore. Hopefully it will be my loyal companion for life. Thank you so much for that breakdown, I am obviously not as experienced with this style of knife as you so its great to get a real world review from a true fan. I think an EvoGrip 18 might be in my future! No need to thank me, I’m just sharing knowledge on your article. Thank you for the great website and keep up the good work.